Neil Chapman is a British perfume obsessive living in Japan. His blog The Black Narcissus is a great read but be warned, you may turn green with envy at the regularity with which he picks up vintage gems at flea markets for a pittance. He is an extremely talented writer and his article “Perfume Haters” for Odou magazine recently won the coveted Jasmine Literary Award. You may recall Neil’s wonderful series on vanilla perfumes for Olfactoria’s Travels last year. His vast knowledge and pure passion for vanilla are both endearing and contagious. He has a great way with words and his descriptions of the perfumes we tried during the evening were brilliantly unique, as you will soon see. It was also extra special because our own Olfactoria was in attendance. Lila: So Neil, what first got you into vanilla? Neil: My school organised a French exchange visit and while I was living with a French family, one evening the mother brought in a vanilla dessert flecked with pieces of vanilla bean. I was in ecstasy. Then at 17 I got into Obsession for Men which was more amber, cinnamon and vanilla rather than pure vanilla but I was obsessed with it. At university, a friend of mine wore Guerlain’s Shalimar and that made me realise that men could wear feminine fragrances. It’s been Shalimar and vanilla all the way since then. I have a big sweet tooth. I like the sickly, full-on vanillas. Sick bag vanillas. Neil: Some people think this doesn’t smell of anything. It reminds me of Japanese hot springs with negative ions in the air. It has a mineral, salty quality to it. At first it’s refreshing and sheer but as time goes on it gets richer and the vanilla grows and grows. It’s a 24 hour experience. Audience member: It smells of sugared almonds. Neil: I call this one a “Play-Doh Cathedral”. The play-doh vanilla is undercut by vetiver and patchouli. I find it quite atmospheric, it has a ghostly quality. Neil: I think the peach you’re picking up on is the fig note. It’s quite stylish. It has a wet clay aspect. I’m not sure I like it. It’s crepuscular and gothic. I imagine brides fleeing down corridors with billowing white veils surrounded by bats. Lila: You went to stay at a vanilla plantation, didn’t you? Neil: Yes, we actually wanted to go to Madagascar because they make the best vanilla however we heard they had an influx of locusts so we went to Java instead. We stayed at a family-run business and actually did a course in vanilla. Each vanilla plant has to be fertilised by hand and it was a slave called Edward Albous who discovered how to do this in 1841. The cultivation of vanilla spread around the world after that. It was really something to see the amount of effort that goes into producing one bean. The vanilla plant only flowers for a few hours so the workers are regularly inspecting the fields. The process of gestation takes 9 months in all. There was a vanilla curing room in the house we were staying in and I almost passed out with excitement. It was extraordinary. I do have some vanilla pods from different regions to pass around. Neil: I like all forms of vanilla. Even the synthetic vanillin. Neil: This one is like the plastic wrapping being taken off furniture in IKEA. I call it “The Pod and The Plank”. The vanilla develops through a veil of smoke. Lila: There’s something unfinished about it. It’s missing something, as lovely as it is. Neil: If you look on the internet some people are fanatical about it. To me it’s like floor polish and wax. Audience member: It’s like the inside of the new Globe Theatre in London which is made of all that wood. Neil: Songes is frangipani, ylang-ylang and jasmine on a vanilla base. It’s heady, beautiful and creamy. Is it a vanilla perfume? It’s a white floral founded on vanilla. I think it’s divine, dreamy and lovely. Neil: Vanille is known as a vanilla for non-vanilla lovers. Audience Member: It’s vanilla for pirates. Audience Member: There’s a lot of galbanum. Another: And orange. Neil: I think it’s very elegant. It has orange and petit grain on a burnished base. It’s smoky, woody and peppery with a strong rum note. It’s supposed to represent a ship carrying cargo like rum barrels and sandalwood to Madagascar or the Comoros Islands. Vanilla is sweet, comforting and mildly addictive. It encourages adrenaline in the body. Lila: It goes to the core of us. Lila: What do the Japanese think of vanilla? Neil: They hate it. While teaching at school on weekdays I have to stick to very light florals, so at the weekends I go mad. It’s very much frowned on to wear strong perfumes in Japan but on the weekend I’m like a perfume terrorist on the trains! Neil: Orchidée Vanille is an orchestral vanilla. It’s a bit tame and pliant. Lila: It’s gorgeous. Class in a bottle. Neil: It has a bit of a rose and violet layer and a gourmand vanilla layer. It’s beautiful but it lacks a backbone. It’s a good pulling perfume. Neil: Vanille Insensée is perfectly constructed. It’s very enigmatic and very popular. It’s a shadowy, subtle vanilla. It has a dark, woody edgy to it. It has personality. It’s too woody for me though. I’d never wear it. Audience member: It’s too modern for me. Lila: It’s better on skin. It’s uncomplicated and easy to reach for in the morning. Neil: Spiritueuse Double Vanille is simply beautiful. It smells of hummingbirds. There’s cherry brandy and pipe tobacco. The beginning is stunning – it’s the best part – whereas most vanillas get better as they go on. It’s the smell of pure happiness. Neil: Tihota is full on, creamy Madagascan vanilla. Lasts for a full 24 hours on the skin. If you hate sweet, buttery scents you won’t like it. If you want a less sickly vanilla you could try Molinard’s Vanille. It’s vanilla vodka, cool and refreshing. Or Vanille 44 by Le Labo which I call a wooden meringue. It’s a stripped down, light vanilla. Another would be Vanille Galante Hermessence which is ylang-ylang and vanilla. It’s aquatic and quite beautiful. So it was a fascinating evening of hummingbirds, billowing white veils with bats and a play-doh cathedral. Hopefully you can get an idea from the above of what a hugely entertaining and engaging host Neil was. I very much hope this won’t be the last time he visits us at PerfumeLoversLondon. I really appreciated that he chose a wide range of vanillas showing varied treatments of the starring note, from sheer to super rich. 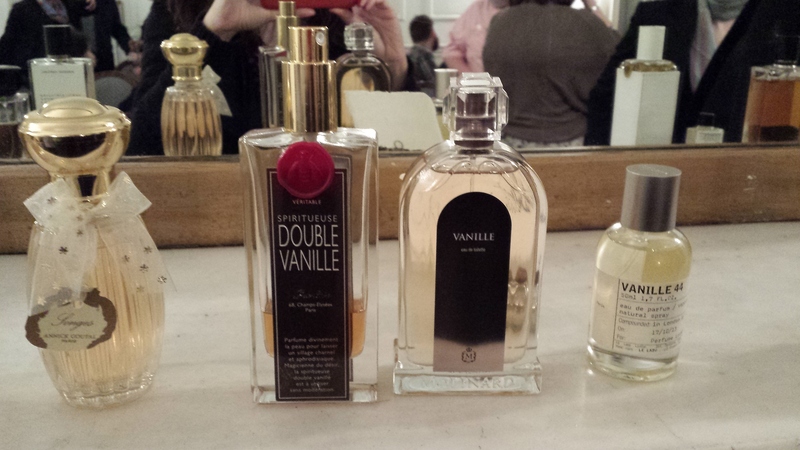 Personally, I liked Spiriteuse Double Vanille and Orchidée Vanille, taking home a sample of the latter. If, like me, you enjoyed hearing about his total immersion at the vanilla plantation, I urge you to read the wonderful detailed account on The Black Narciuss. Many thanks to Neil, Lila and Grant from Basenotes.net for a fabulous evening. Are any of these vanilla perfumes favourites of yours? Editor’s Note: As I sit here on my desk, formatting Tara’s detailed account, I can still smell the amazing conglomerate of the many mouillettes I took away from this wonderful evening that are lying here beside me. My whole suitcase – and now my office – smells of vanilla and this memorable evening. I was lucky to be there and meet Neil in person. He is just as I imagined him – hyper-intelligent, passionate, a tiny bit weird and wacky in a wonderful way and absolutely lovely. I’m sure it was not the last time we crossed paths. I was also honoured to meet Neil’s parents and best friend Helen as well as Duncan, Neil’s partner of 21 years, who we often read about on his blog. This entry was posted in By Tara, Travels, Vanilla and tagged Fragrance, Perfume, Perfume Lovers London, The Black Narcissus, Travel, Vanilla, Vanilla Scents. Bookmark the permalink. Wonderful write-up Tara! Thank you for the list of vanilla perfumes. I will be trying the ones I do not know. Thanks, Sandra. I’m glad the list was helpful. Fingers crossed you find another to add to your collection. Tara!! I need to get a second residence in London. I just know what a great time you had. I would have no business without vanilla, because I cannot bake without it. As you know I use Tahitian vanilla, which is very fruity, almost like cherries, Mexican and of course Madagascar. I like vanilla in perfume, but seldom wear one. Hmmmmm. What will I bake with today?? Val, I guess you have no need to wear a vanilla perfume as you bake with the real deal so often. It was interesting to read your description of Tahitian vanilla. You and the gorgeous Neil would get on like a house on fire. You definitely do need a second residence in London. We would have so much fun! 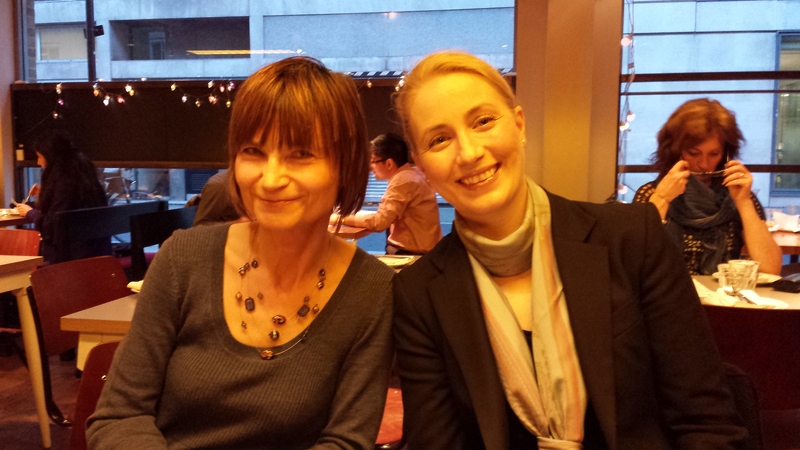 It was so lovely to see you in London Birgit, you need to come more often! There were so many familiar faces, it was great. Such a pleasure to meet Neil and Duncan for the first time after reading about them on the blog for so long. They didn’t disappoint! Thanks again for putting it all together, Lila. I loved how Neil is a perfume terrorist on the trains. 😀 He,he, he, sometimes I feel like that too, generally, I’m not much on trains. My favorite of those mentioned is MdO Vanille and SDV coming in second (although lately I get too much smoke out of it so I’m not that much in love anymore). Ines, I’m glad you enjoyed it! it’s interesting to see the different categories of vanillas, isn’t it? I think I lean towards the floral and oriental ones. I must re-try SDV to check on the smoke, although I tend to like that in moderation. 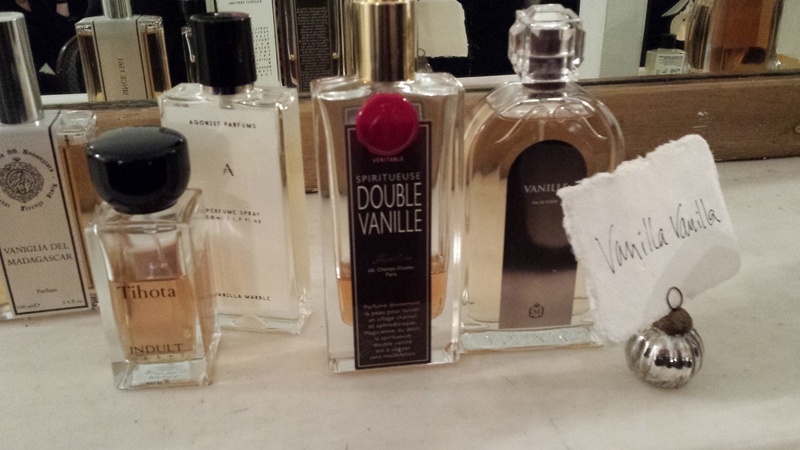 I really want a vanilla in my collection and it is between that and the Van Cleef. 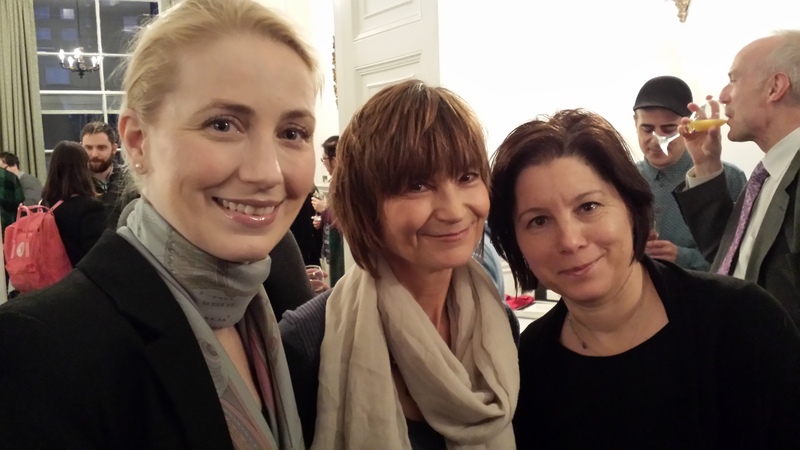 Great review Birgit, and it sounds like it was a fun evening. Well done Neil, and to the organisers. It was a great evening! I’m very grateful to Lila for arranging it and to Neil for getting over his nerves and beng such a wonderful speaker. Thanks Tara (sorry, I’ve just realised you wrote the review!). Sounds like it was a lovely crowd gathered. I’m glad it all went well! It was a lovely crowd. A particulary good night that carried on till midnight at the local pub! I have to admit that I loved it, I really did, though I am blushing reading some of these comments! Good!!!! The comments are so justified. Ha ha! Perhaps you will have more confidence now. It really was great to meet you, Neil and you made it a great night for all of us. How fun! How is is possible that I haven’t smelled Songes as of yet? It sounds like it was made for me! And how come the UKers have all the fun?? You would love Songes, I’m certain. It is incredibly dreamy. Hopefully you can try it asap. We do have a lot of fun in the UK but I’m not sorry! We need to start one of these on the East Coast! That looks like a lovely evening, I must try to go to one of these events. Vanilla incense is my favourite! I’m not keen on the richer, more gourmand ones, a ‘shadowy, subtle vanilla’ is much more my thing. Plus I’m on an Atelier Cologne bender (have been wearing my new Mistral Patchouli constantly). Alice, if you’re local you should definitely go along to a PLL event. You’d love it. A nice friendly crowd too. Sheer vanillas suit me better than the very rich ones too. I got a sample of Mistral Patchouli so I’m looking forward to trying it. I’m london based but often away for work, but I will try. Do let us know what you think of MP! Well I hope you can make it some time. I plan on doing a review about Mistral Patchouli and Cedrat Enivrant. What a great read. Tara, you capture the event beautifully. I love vanilla. There are so many great ones to choose from: Lea Calypso St Barth, Le Male, Vanilla Noire, Shalimar, Vanille & Narcisse, Vanille Galant, MdO Vanille, Aqua Allegoria Ylang & Vanille, Vanille Absolument. SO MANY great vanillas. Looks like you all had a blast and how naughty does Vanessa look? Haha, d’you reckon? 😉 That’s a turn up! Portia, there are so many, it must have been hard for Neil and Lila to whittle them down. I think Neil might have mentioned liking Ylang and Vanille. I can imagine vanilla really suiting you. V does have a cheeky twinkle in her eye! Neil is absolutely right about it being a spectacular note, alone or in company. I think I’m going to have to get to Japan to meet this Neil. I think he would be fun. Though he’d be bored stiff with my lowbrow approach to everything probably. Still, for me it would be excellent. Someone bored by you? AS IF! Neil would adore you the way the rest of us do. He’s not in the least bit snobby despite being super smart. He’s awesome company and Duncan is a sweetheart. Righto Tara, 2016 I’m going to find Neil and meet him, maybe on our way to see you lot in the UK. Thank you for your kindness too Tara, as Val would write: BUSSIS. YAY!!! Now I’m jealous, ha ha! Uhm. We’re ALL coming with you Portia. Oh I say, Tara – yet again you have done a blinder, capturing every fascinating nugget and nuance of Neil’s talk. Vanilla is my hands down favorite perfumery note, so I was in heaven sniffing through this interesting selection. And the chance to meet the quirky and quick-witted Neil in person, as well as see old friends again like you and Olfactoria, Thomas, Liam and Joshua, as well as meet new ones in the shape of Sabine, Lady Jane Grey and Olivia, made the evening complete! Thanks to Lila for her hard work making it happen! I’m so happy you think I captured the evening well, V. I did want to do Neil justice, even though I couldn’t relay everything. He is brilliantly quirky and quick-witted, quite right. Our loss is Japan’s gain. It was so good to see so many of my favourite people all in one evening. And thanks Tara for this wonderful post! So nice to see photos of you, V (I love your hair! ), and everyone else! It was so great to see everyone. Normally I only see them one or two at a time, so to have everyone together was fab. thank you very much for this exciting report and the wonderful pictures! 1. L’Artisan “Vanille Absolument”, I like that the tobacco and dried fruits give the vanilla a sophisticated, non-gourmand touch. 2. Annick Goutal “Vanille Exquise” because it reminds me a bit of Johnson & Johnson baby oil, it’s an innocent but not simple-hearted fragrance and one you can wear nearly all year long. 3. Guerlain Shalimar Ode a la blabla because it’s the most fluff, comfortable yet interesting one. Isn’t Neil’s passion wonderful? I love it when someone is so open and honest about something they feel so strongly about. It’s a joy to behold. Thanks for sharing your own favourite vanillas. The Shalimar Odes were great and I must re-try Vanille Exquise. I’m sure I’d love it. Thank you for the lovely write up Tara, I always enjoy them so much. I do love SDV and Vanilia too. Ambre et vanille I like very much too, it’s a beautiful and easy to wear amber I find. So nice to hear you enjoy my reports, Asali. It’s great to be able to share them with you. You’re luckyu to have some of L’Artisan’s discontinued Vanilia. I bet it’s fantastic. Neil is awesome, isn’t he? I’m so narked that I couldn’t make the talk in the end but am very glad to have been there via your excellent write up. I thought of you when we tried Songes. It would really suit you. I’d like some for the summer heat too. Fingers crossed for our mad weather. 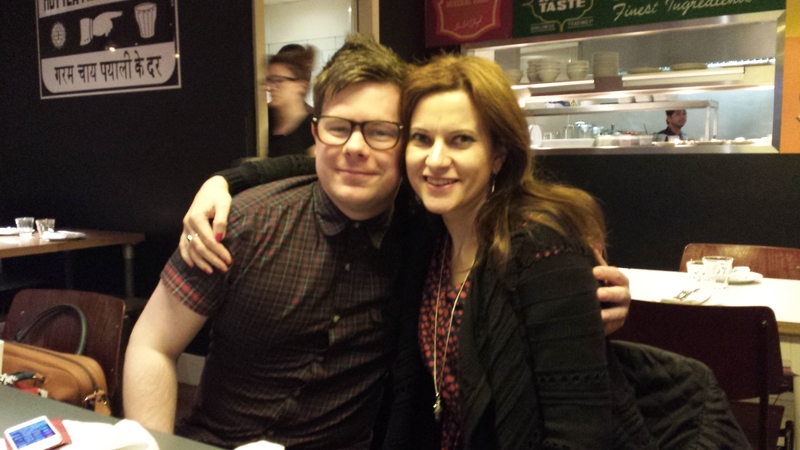 Tara, a smashingly good report, made all the more wonderful by your photos! Neil’s information on the vanilla plantation was especially interesting: the world owes much to Edward Albous, and it’s fascinating to hear that the gestation process for the vanilla bean is 9 months, as it is in human gestation! Suzanne, I’m pleased you think it’s a good report because I was enjoying seating next to B and listening to Neil so much I didn’t keep my head down to my notepad as much as usual. I agree, it was so fascinating to hear Neil’s experience at the plantation. He was eating, drinking, smelling and no doubt dreaming, vanilla. It affected him so much he couldn’t even talk about it or look at the photos for a while after he got back. A truly mesmerising experience. Ach, what an event ! It was absolutely fab to meet all the olfactive friends – I wish I could make it more often to the meetups. It was so great that you could make it. It was lovely to have you there. I wish you all could make it more often too but when you do it’s extra special. How lucky to have met the estimable Neil and shared in all that wisdom. Thank you all for the excellent report, the next best thing to being there. Dandy, when are you going to come to a PLL event? It would be lovely to meet you. It was really great to meet Neil. What he doesn’t know about vanilla isn’t worth knowing. Ha ha. Quite. I can hightly recommend the vanilla macarons at Laduree! Olivia, it really was one of those special nights, wasn’t it? So good to continue it in the pub and bump into Nick too. How interesting that, because of your mother, vanilla is actually the smell of rebellion for you! Personal associations make such a difference. Would you ask your husband to get a job in London next time round, please? I’m serious! Neil met his partner at university but he still looks far too young and handsome. His talk definitely reflected his blog. Fun and informative. 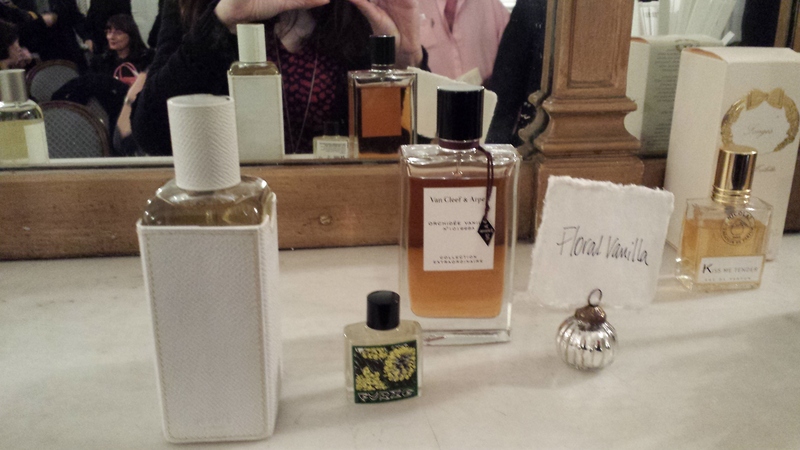 I’m not a huge vanilla-centric perfumes fan (MdO’s Vanilla, TF’s Tobacco Vanille and Diptyque’s Eau Duelle are my favorites) but I enjoyed reading about the event and watching pictures – thank you, Tara (and Birgit)! I’m not a huge vanilla fan either but that made me more eager to get a better appreciation and hopefully find a vanilla perfume that worked for me. Neil’s talk succeeded on both fronts. Thanks for sharing your own favourites. Great write up the evening Tara. I was there and recognised you and Birgit but didn’t get the chance to say hi before I had to run off. Next time …. Neil was absolutely brilliant – he is a very talented writer in my opinion. I was seated at the back and I don’t think I caught everything that was being said up the front but was so happy to be able to sample so many vanillas that I have never come across and got to take home a sample of Tonka Imperiale as well (delicious)! I’m so sorry you didn’t have a chance to say hi. It would be lovely to meet you. Neil is a very talented writer and now a talented speaker too. He was concerned that everyone would already know the vanillas available but as you show, that really wasn’t the case. There was something for everyone. 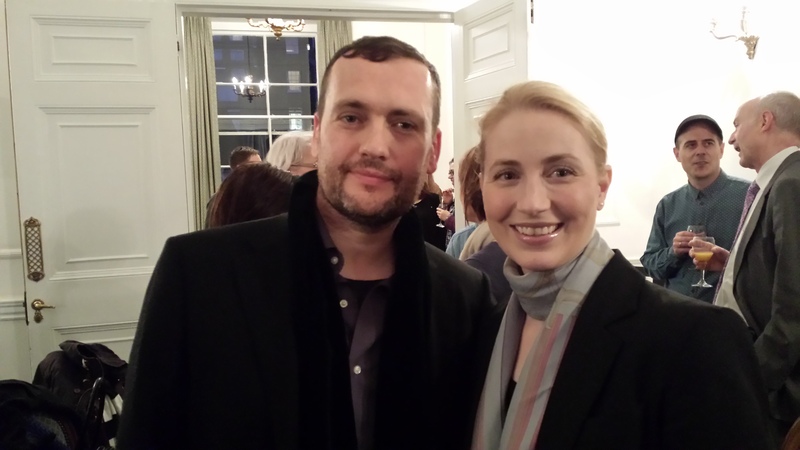 What a terrific write-up of the event, Tara! I wish I could have been there. It sounds like you all had a great time. And Neil was the perfect choice for the theme!